I love old soundtracks by Goblin, John Carpenter, Tangerine Dream, & Fabio Frizzi. When I hear this rare CD, I know I am not alone. Pittsburgh’s Zombi has carried the torch of awesome, dark, cinematic music since 2001. A duo comprised of Steve Moore and Anthony Paterra utilize live drums, electric bass and a collection of analog synthesizers to rock you to Earth and fly you to the cosmos. They have an impressive aptitude for lush, warm soundscapes. If you are a fan of any of the artists mentioned above, you may become a new fan of Zombi. They have a new album out as of last month, but go ahead and start here at the beginning. You won’t be sorry. There is a short review of this disc here. Thanks for this one. Love 'em! Many thanks for this. Zombi fans will already know that Zombi have recently worked closely with Athens, GA-based postrock band Maserati, releasing a split EP in 2009, and with Zombi stepping in to replace the deceased Jerry Fuchs for the 2010 tour. I have indexed all available live Maserati recordings in the comments to edo's post of Passages, which contains the Maserati tracks from the split EP and a Steve Moore remix of an earlier track. Cheers, Dave Sez. Hi! 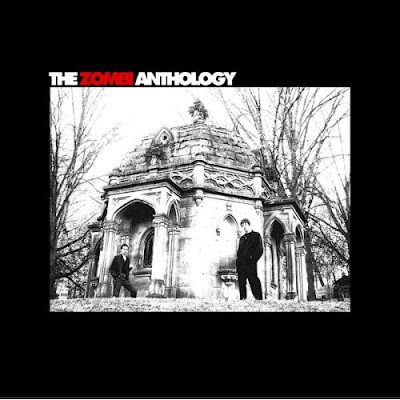 Is there any way you can re-up the Zombi Anthology in 320kbps again? It looks lihe the original link was on Megaupload. Maybe Rapidgator or Mediafire?